Please use back-next button to navigate through the images. The game is set in Skyrim (unsurprisingly) and will take place 200 years after the events of Oblivion. The player takes on the role of the last living dragonborn who must save the land of Skyrim from a resurrected God of destruction. Said vengeful deity, Alduin, takes on the form of a dragon to punish Skyrim for a vicious civil war that is rocking the land. 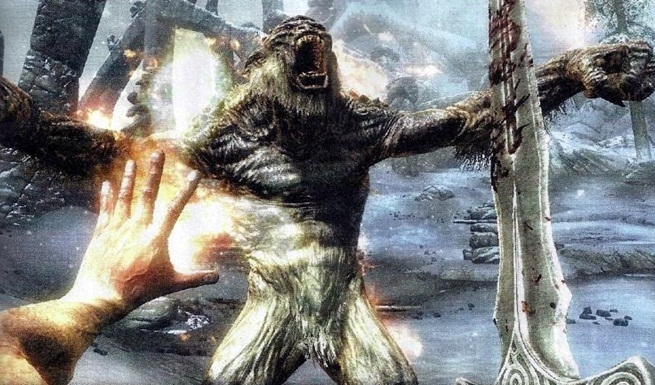 Civil war has erupted across Skyrim after its king was assassinated, prompting the notion that Skyrim will be merging more political themes into the usually metaphysical narratives of the Elder Scrolls series. Exploring Skyrim will be handled in the same vein as in Oblivion and Morrowind, albeit with a much needed sprint function now added. What’s interesting is the abundance of tweaks that are set to be made to the game’s combat. Weapons and spells are now equipped to each hand individually, allowing for dual-wielding (hell yes) as well as dual spell casting. There will be a lot of room for experimentation with a system like this in place and, with bookmarks that save your favourite weapon and spell set-ups, it’ll be easy to wield a series of diverse equipment templates. Other combat additions include finishing moves that will alter based on your chosen weapon. Several tweaks are also being made to the combat engine we so often take for granted. In an attempt to make melee combat more realistic, Bethesda have added in balance and staggering into the equation that will grant a new level of strategy to the combat. Defence has also been modified to incorporate a blocking system based on timed guards. Ranged fighting has also taken a new direction with bows now being far more powerful than ever before. The trade-off is that arrows are much rarer than in previous Elder Scrolls games and take far longer to draw. 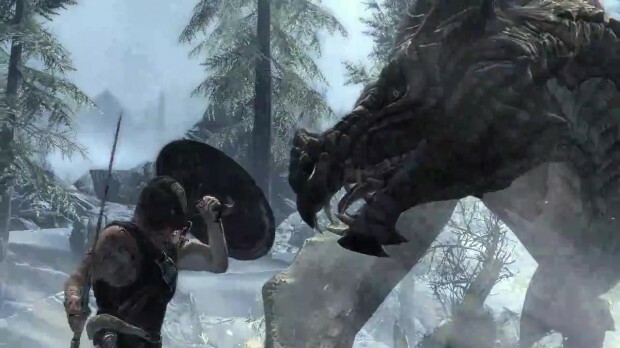 Another overhaul comes in the form of the levelling and skill system in Skyrim. Some critics found themselves dissatisfied with the scaled levelling in the previous ES games, but it was a necessary feature in order to make exploration less daunting. Skyrim sees fit to achieve a nice balance by scaling enemies to your level, but freezing the levels of dungeon enemies when you first enter a dungeon level. By doing this Bethesda will still retain the series’ trademark ease of exploration and discovering, whilst simultaneously catering to retro RPG types who want to grind to take on more challenging foes in the game’s dungeons. The class based system of Oblivion has been removed, meaning your character’s specialisations are entirely defined by which skills you choose to level. Gaining levels in these skills opens up perks you can use in combat, and the skills are handily divided into trees for ease of use. What will redefine the stealth elements of Skyrim is the upgrade from the Radiant AI of Oblivion to the new Radiant Story system. With Radiant Story enemies will now actively investigate any disturbances they encounter, making sneaking more tense than ever. This new and improved AI also extends to NPCs in towns, who can now interact with their environment in more detailed ways. Expect townsfolk to now work behind the bar and at the mill and as a lumberjack, rather than just wandering aimlessly all day. It’s a wonder how the economy managed to stay afloat in Oblivion and Morrowind at all. 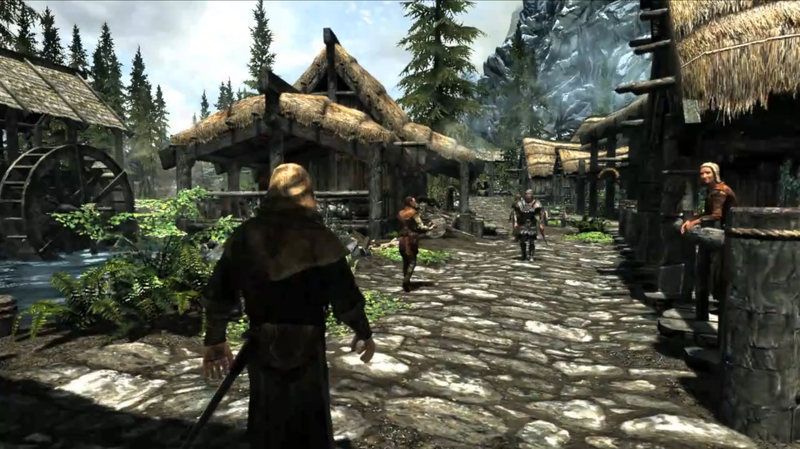 The new system also has implications for the side-quests in Skyrim, which will now be modified at random. Whether it’s placement, opposition you may encounter or general challenges to overcome, the game’s sub-missions will now have a new dynamic change to them based on your play style. Dragon’s will also make an appearance in the game, and add a new element to the proceedings. Dragons are a focus of the story and can be encountered and slain throughout the game. Upon killing a dragon the player can gain dragon shouts that grant differing effects. The shouts offer unique abilities like teleportation and dragon summoning and can be used by any character type regardless of their specialisation or arcane abilities. In line with the game’s new randomly generated side-quests, you’ll also find that said dragons will sometimes attack nearby towns and villages at random. Let’s just hope Bethesda won’t let dragons plunder your favourite blacksmith too often, or that could become frustrating. With giant trolls and spiders are also set to make an appearance, making the moderately sized enemies of Oblivion suddenly seem about as menacing as a puppy. 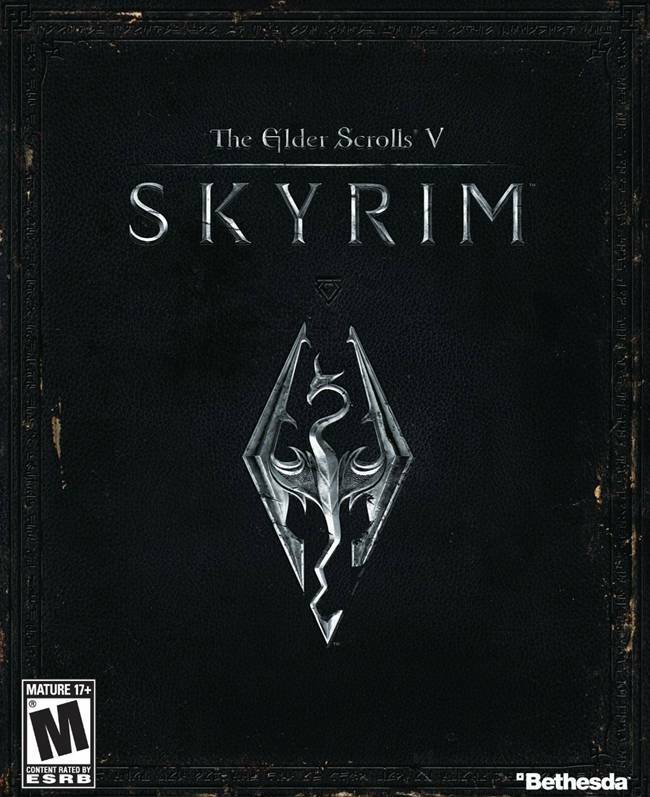 Though the player begins as an unnamed prisoner as in Oblivion, they soon learn of their epic quest to save Skyrim from the Nordic Dog of destruction in an epic single player adventure that will supposedly last around twenty hours to complete. The five main cities and perilous mountain regions of Skyrim will make a game world at least as large as that of Oblivion. This is what we know so far, but there are sure to be more surprises in store for us when Skyrim launches on the 11th of November. Until then I’m going to go and fire up Oblivion once more, as I’m almost certain it still has some content I’ve yet to discover.